At Locksmith Reseda, no job is too tough for us to handle! Do you want to finally relax knowing the locks on your home are protecting you and your loved ones? Did you lose your chipped car key? Are you locked out of your home, vehicle or business? Don’t waste any more time! Contact Locksmith Reseda and we’ll get right to work! Our competitive rates will blow you away, working with any budget. We provide a comprehensive menu of locksmith solutions for vehicles, homes, and businesses. • Affordable rates to fit any budget!! Call or email Guardian Angel Locksmith in Reseda today and we’ll get right to work! At Locksmith Reseda, we’ve left the competition in the dust when it comes to quality service and training, and our record of excellence proves it! We are rated #1 in the Los Angeles area both on Angie’s List and on Yelp. Our countless reviews reflect our quality of work and customer service. 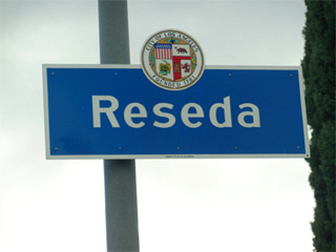 This is but one of the reasons why Reseda residents and drivers choose to call us whenever they need commercial, residential, or auto locksmith solutions. Unlike other local locksmith companies in Reseda, we never surprise our customers with hidden fees, commissions, or taxes! If we haven’t convinced you to choose Locksmith Reseda for your locksmith services, we urge you to give us a call for a transparent price quote.